We will help you select the perfect system for your roof configuration. With no welding required, you can easily install the kit with just an Allen key. The kits comply with EN 13374 Class A and EN ISO 14122 Part 3. 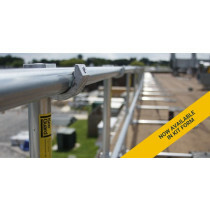 The roof edge protection kits will keep all workers on a roof safe and sound. KeeGuard is a modular roof edge protection system that can easily be configured to suit any roof layout. For straight-forward roof configurations, we have designed a set of KeeGuard kits that provide collective protection and will allow you to work safely on a flat roof. While the kits are designed to offer protection while working at height, it is incredibly important that you follow all the configuration and installation steps on the page. Failing to do this, the system will be deemed unsafe and can cause death. 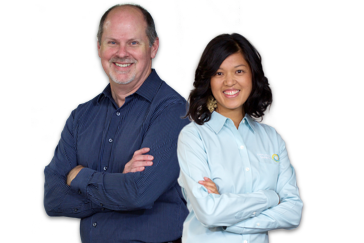 If you are ever unsure or require extra explanations, please do not hesitate to get in touch with our team. This configurable KeeGuard free-standing roof edge protection kit is suitable for flat roofs with a maximum pitch of 10°. Available in lengths from 6m to 57m. 1. Do you have enough space? Our KeeGuard kits only work on the following roofs: mineral felt and PVC membrane.. Get in touch if you need a system for a different type of roof. When assembling KeeGuard, wear adequate protection. 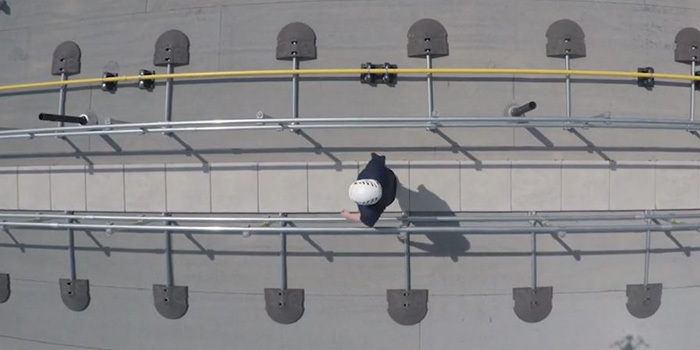 A full body harness and lanyard should be worn if no other fall protection is present on the roof. Do not attach your PPE to KeeGuard. Under no circumstance should you use KeeGuard as a holding rope device or a man anchor. KeeGuard was not designed for this. Installation should be done as instructed in the manual. Do not modify the system as this may not keep workers safe any longer. Always use all the parts supplied in a kit, especially the weights. These are what makes the system suitable for your roof layout. Changing this will endanger lives. KeeGuard was designed as a permanent system. Using it on other roofs will put people in danger. We can help you reconfigure an existing KeeGuard system, but never just assume that what works on one roof will work on another. Perform a system check at least once a year to ensure that the kit is still safe and in good condition.